The Sovereign Touch by John Enslow is highly anticipated and sure to challenge and encourage believers young and old alike. First of all, I want to first start and say that I am very sorry that the podcast has been limited on the app and on Shulamite.com. 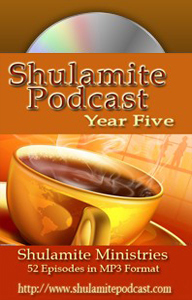 It’s never been not on Shulamitepodcast.com but because of depreciation of the web site functions – which I have no idea what that means – we, we had the app and the Shulamite.com areas go dark with the podcast. And thank you, Tammy, for letting me know. And I just want to invite anybody who sees anything like that if you happen to notice that there’s errors or there’s missing content or whatever. If you see something that’s wrong, I am wide open to receiving emails and letting me know that. I would have found it eventually but I don’t always go into all the content every single week. So when Tammy let me know, I was able to jump on to that, and get the app guys, in Vietnam actually, to work on it. So that is done and so thank you, Tammy. And also big invitation: if ya’ll ever see anything, please let me know as soon as you see it so that I can deal with it. As far as it goes for now, everything is good. The app works. 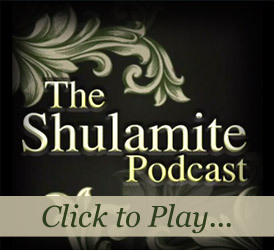 The Shulamite.com representation of the podcast is there as well as on the Shulamitepodcast.com site and YouTube. So it’s all, all good. So… But today we have something real exciting and I want to get into it as soon as we can. So let’s go for it. I’m going to let Jennifer announce. Jennifer and John and I are sitting together in the office and I want Jennifer to make the announcement. After weeks and months and time and prayer and tears and sweat and work and more prayer and listening and then more prayer, The Sovereign Touch by John Enslow is now available on Amazon Kindle. Huzzah! They are laughing and we are so excited. It is available on Kindle right now and we are going to make this available in print. We’re just… That might be a little bit. We’re working that out. But for right now you can download the Amazon Kindle app onto any PC, laptop, Mac or Windows, iPhone or Android; any device that’s out there. Amazon has a free Kindle app available so that you can go to Amazon and buy The Sovereign Touch and then download it to your device. I just want to say as far as this book is concerned and I suppose, let me go ahead and do the full title. 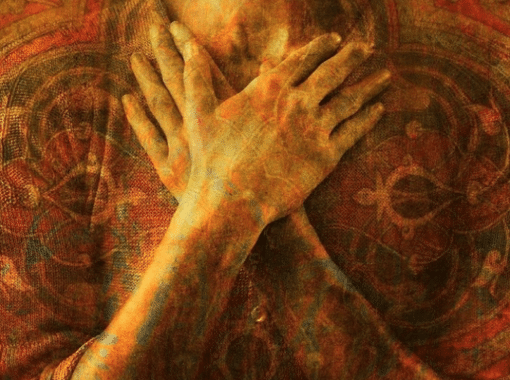 It is The Sovereign Touch: God is either sovereign over all or He isn’t sovereign at all. This book is such a phenomenal gift to disciples of Jesus Christ. It has challenged me. It has encouraged me. It has exposed me in the best possible sense. It has been an experience working on it and reading it. 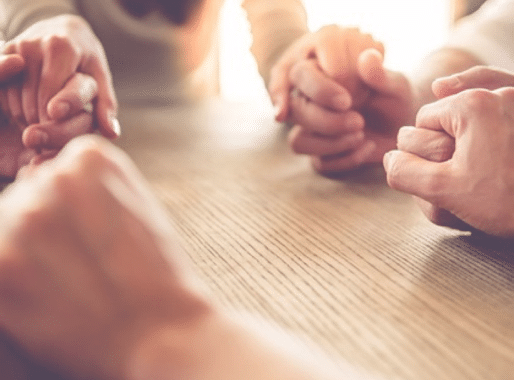 It is, as the mandate to this ministry has been and as John’s prayer and declaration before every podcast, The Sovereign Touch is a living impartation to disciples to meet God as sovereign, to experience God as sovereign, to know God as sovereign. And I really… I will be praying but mostly I will be rejoicing that this book is going out. I just want to say that for me the book was an experience, not a read. And I wept through every reading. Three or four times I’ve read the whole thing through and it’s not small. It covers a lot of ground. And it is personal, it’s experiential, and that is the proof of the Word, is when you experience exactly what God says. So I am more than grateful. I really feel like I related it to Romans 1 where it says, “They did not honor God as God.” And that speaks of the sovereignty right there. If you don’t honor Him as God… And I, the reason I’ve wept so is because this book brings honor to God as God. It glorifies God and defends God and explains God and exalts God and it’s just a masterpiece, spiritually and practically and thanks to your editing and John’s writing by the Spirit. John this book is such a personal narrative of your life and such a journey into the revelation of the sovereignty of God, which I think it takes a revelation. Do you feel that sovereignty was the solution for your life? Well, you know, I was telling you the other day that the, the cover is the representation of the book. And when I was thinking of the cover I was thinking of the touch that God was making with Adam that Michelangelo did. You know, that iconic, beautiful God reaching down to ignite this divine relationship with Adam and was reaching, full outstretched to get to Adam as Adam kind of loosely reached up to Him (“The Creation of Adam”). So that’s what I originally saw. And then I thought about it and I said, “Ok, but this book is going beyond that.” This book is going beyond that initial touch. It is the grasping. It is the touch of a hand. And I did it with a child’s hand because I saw it as a father and a child. And basically I take you from ground zero where you have to deal sovereignly. Our ground zero is our birth, our parents, our rearing years. And that’s literally the, the stage that is set for every single human that we would know Him as sovereign. And so you have to be a child to get there but you have to go back to be a child. You have to be born again to actually make this transaction because it’s impossible to do. No one, absolutely no one is going to make this transaction bar someone who has literally come through a rebirth and then has a divine Father come after them to equip them to embrace a sovereign God. It’s not something that’s natural. It is supernatural. None of us, not a single one of us can embrace sovereignty just because we say we’re gonna do it. We can make the choice! We can— And we have to make that choice. We have to say, “I bow to Your will” and we bow to His lordship. But no one is gonna do it just gutting it out. It’s, it’s not— It just won’t happen. 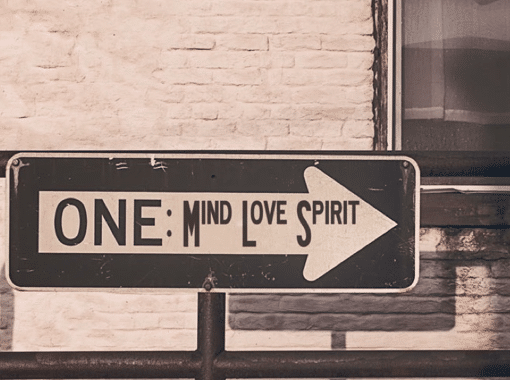 You are having a divine touch and that’s why I called it The Sovereignty Touch because it is a, an interactive reaction to a reach, a touch, and a grasp of a God who wants to lead you into His Lordship and into eternity. And so, The Sovereign Touch, I take you from ground zero of that and then I walk you out to, to the different relationships you have, different things that happen in your life beyond; going into the government and your country and then beyond into our world and then I bring it right back to ground zero again. I mean it takes you through everything. It takes you through every possible avenue of sovereignty from, you know, parents to life circumstances to authorities to government to the world to our pain. You know, that’s one thing I said in it is that, you know, I may, I may talk about sovereignty but at the end of the day when I lay down my head to go to bed I’m wanting that sovereignty to deal with my pain in my life. That’s the core of us. We want to know that God is not just sovereign in who He chooses as our president, not just sovereign in how we interacted with our parents. I want to know He’s sovereign over my pain. I want to know He’s that deeply involved with me. And so I’m floored by this book because not only is it, is it something that God’s birthed through me it’s something that I’ve brought it through my life so that it’s not just a theology or a teaching. Someone described the book said that it was a narrative teaching, because basically what it does is it takes you through the narrative of my life to see a number of things. It’s not only my testimony. It’s not only my experience but it is certainly the revelation of God that, that He’s given me. It literally is how God sovereignly touched, through all this, me. I experienced the sovereign touch. I’m not just talking about The Sovereign Touch. I experienced the sovereign touch. And I’m, I’m looking for everyone. I mean, and you know, it’s not like… I’ve, I’ve written at the end of the book I said, “I’ll never come to the end of this.” This is not something that you, you say “Oh, ok, I’ve got that. Now it’s a feather in my cap and I can keep on going.” This is something that you will forever and ever and ever, as long as you breathe on this earth in your body, you are going to be dealing with God as sovereign. You will have to continually bow to Him as sovereign. And you’ll have to continually trust Him in faith that He is God, that He is your Father and that, that He is sovereign over, over the things that happen in our life; even the things that we don’t understand; particularly the things we don’t understand. The Sovereign Touch is John Enslow’s new book and it is now available as a Kindle edition through Amazon! This amazing and vital book is highly anticipated and sure to both challenge and encourage believers whether brand new or seasoned veteran. Don’t miss out!